You are here: Home / Careers Advice / I Quit Before Finding a New Job – Now What? 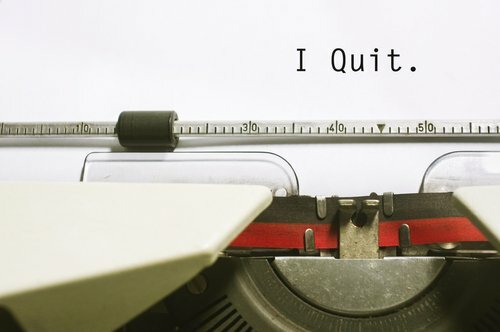 I Quit Before Finding a New Job – Now What? If you made that mistake and quit your job before finding a new job then read this article to learn about your alternatives and the best things to do after resigning. It is always better to search jobs while you are employed, it’s more secure and you feel more confident however if you had to resign before finding another job then read our article about this situation. When you have left your job it can be difficult to know what to do next. Below are a series of steps that you could take once you have quit. Financially you could struggle once you have no income. Having quit your job though, you may find that you are limited in the financial help that you can get. It is worth contacting your local citizens advice bureau to find out whether you can get any financial help though. Even if you have savings, you may find that there is something that you can claim, so it is worth a call or visit. Your local job centre should be able to give you some help on what to do next. They will give you the opportunity to sign on if you are looking for work and this may help you to get some benefits. You will also be able to have a discussion about your future career and what training you may need to do to do any jobs that you would like to have. It is worth updating your CV so that you can send it off to prospective employers. There is a lot of online help on how to do this. If you have not made changes to it for a long time or do not have one at all, then it is worth spending some time on this. Ensure you include all of your qualifications, work experience and skills to show off your abilities as well as possible. If you are looking to get straight back in to work, then it is worth sending your CV off to job agencies that have the type of job opportunity that you are looking for. They will then put your details on file and if you match any jobs they are filling they will let you know. Some companies only advertise through agencies and so it may be a better way of getting a job than approaching companies directly. If you want a job fast, then temping may be the answer. It can provide you with short term or long term work and may look good on your CV. If you quit a job, this may not look good to future employers, but if you have started something quite quickly afterwards, even if it is a temporary role, then this should look more positive on your CV. You may have quit because you were not happy with what you are doing. You could use the opportunity of not working to do some training courses. You may consider doing full time courses or something part time. Financially you will need to decide whether it is something that you can afford. Some courses are paid for and you may get living expenses paid too. However, this is rare and so you will need to think carefully. A part-time course could be a better option as you will be able to work at the same time and not only finance the course but also have some money to cover household bills. Some people will need a break after they quit their job. It can be a good time to have a rest from work for a while. Having a holiday or even just a break at home could be a good idea. However, do not make it too long as getting back to work after a long break can be difficult. It can not only leave a gap on your CV but also make it harder to settle back in to the routine of working. Good luck with your job searching.